I notice that a lot of people on forums complain about bad performance after upgrading to Crossfire or SLI, and usually the fix is pretty simple. This also applies if you've bought a brand new graphics card or just want to get the next driver update. -You need to have a motherboard that supports CF or SLI if you are going that route. For a new GPU upgrade, it won't matter as long as it has PCIe 2.0. 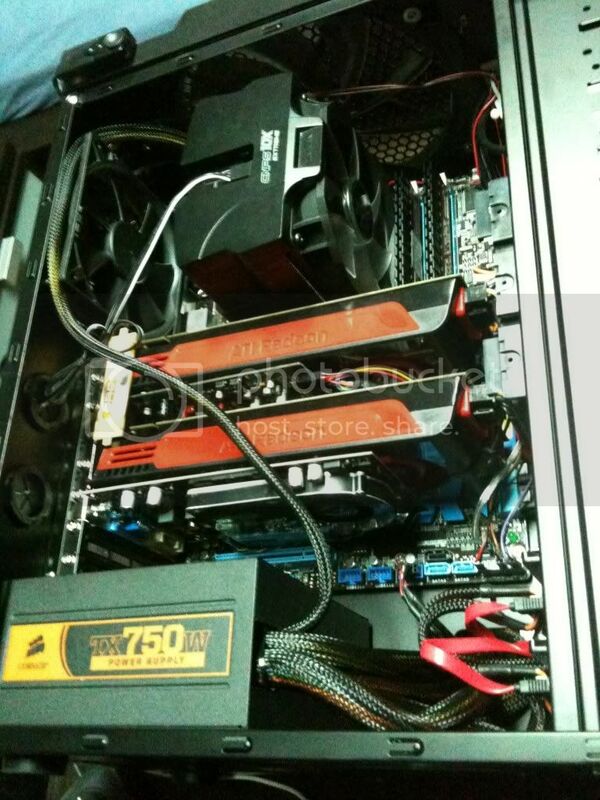 -You need a power supply that can handle the increased power draw from the new GPU. There will be a recommended amount via the manufacturer website. So you get your new GPU home, what do you do? Download the latest drivers from Nvidia or AMD, depending on the GPUs you have. Note for CF users: you must download the Crossfire Application Profile (CAP) separately from the main driver, at least for now. Nvidia drivers have it included. Uninstall your current drivers, and before rebooting run Driver Sweeper to totally clean out your drivers. Note that you only want to remove your "Display" drivers for AMD/Nvidia. Turn off your PC, unplug or switch off the power supply, open the pc up, and plug in your new GPU. Make sure you connect the right PCIe 6 or 8 pin power connectors from your power supply. Also attach the CF or SLI bridge - this usually comes with the GPU and attaches near the L Bracket of the GPUs. Turn the PC back on. The resolution should be way off, like 600x800. Get into Windows and find that new driver you downloaded. Install it. For AMD Crossfire, install the CAP as well. Then, reboot. Verify that CF/SLI is working. Just go into the Catalyst Control Center/Nvidia Control Panel and check for the CF or SLI option, and make sure it is enabled. -You should always uninstall your old drivers before updating to new ones. I have occasionally had an issue when trying to simply install over top of old drivers that is always fixed by completely deleting the old one. -For AMD users, you want to avoid installing the HydraVision at all costs. You also won't need the SDK install if that is available. I always advise you do a "custom" installation just to verify you are only installing what you need. -Both AMD and Nvidia drivers come with audio drivers. Unless you are using the HDMI output with audio, you do not need this and I highly advise not installing it.